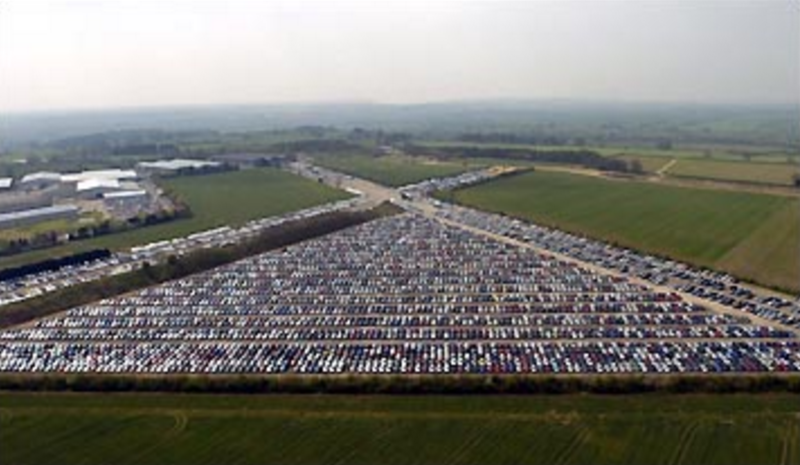 Share the post "Thousands Of Unsold New Cars Are Being Abandoned And Left To Die In Lots. This Is Insane." This is what the car manufacturers DON’T want you to see. 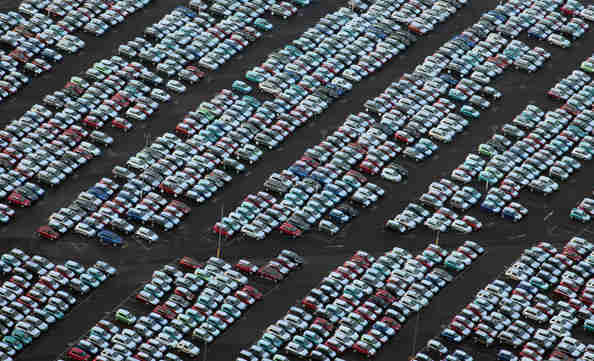 Since overproduction peaked in 2009, thousands of cars have been left in lots to waste away. Many of these photos go back to just post-recession, yet the problem of surplus still exists today! Shiny, pretty, and new…and rapidly rusting, unused. 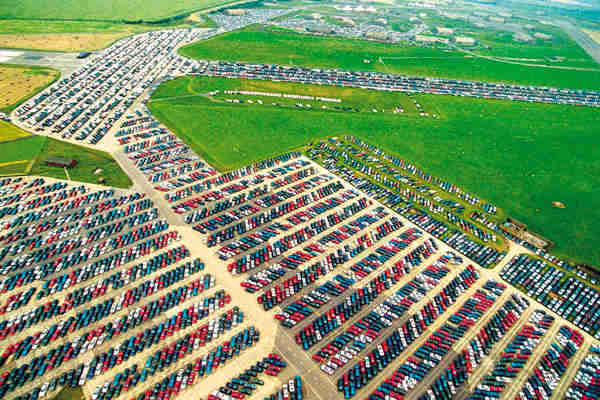 This photograph is a lot of surplus cars in Port of Sheerness in Kent, England. 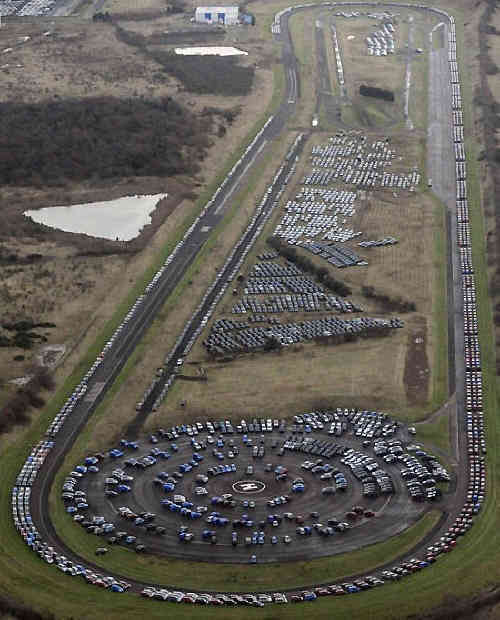 There are hundreds of places exactly like this in the world full of cars that automobile manufacturers were unable to sell. That’s right. 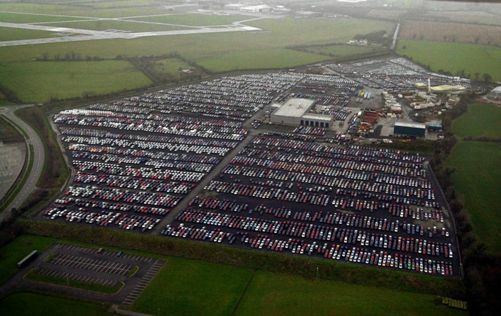 You’re looking at just one of the world’s many unsold car stockpiles. People are not buying new cars at the rate they were pre-recession. How many families do you know who boast a new car every year? Thus, millions of brand-new are left to die in parking lots. 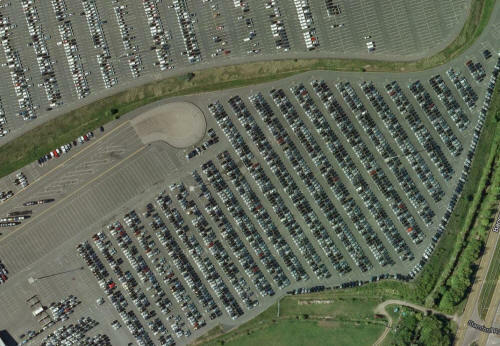 Just off of Broening Highway in Baltimore, over 57,000 cars sit in a massive parking lot. At first I wondered why they weren’t simply put on sale, but the car industry won’t reduce their prices drastically for one simple reason: You can’t sell a car for $500 and expect someone to purchase a new one for $15,000. 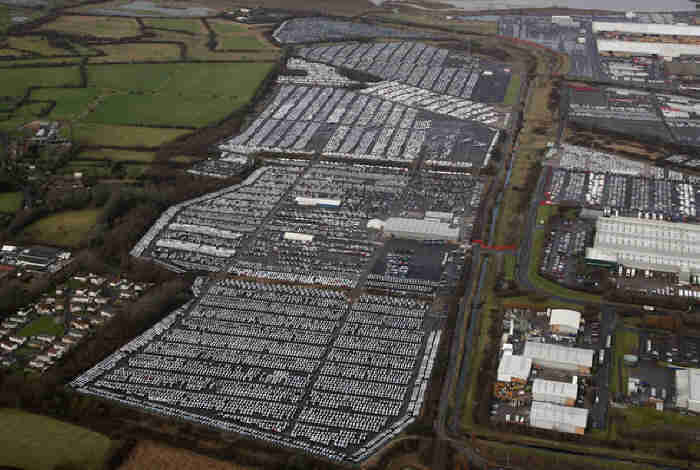 Cars must be moved out of dealership lots to make room for new automobile production. 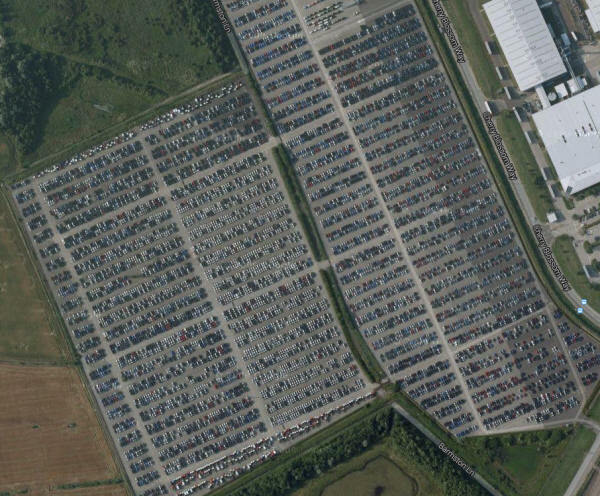 What’s left is kind of sad…rows upon rows of perfectly good cars. Dormant. The car industry can’t simply stop making new cars. That would mean closing factories and lay off tens of thousands of employees, further adding to the recession. 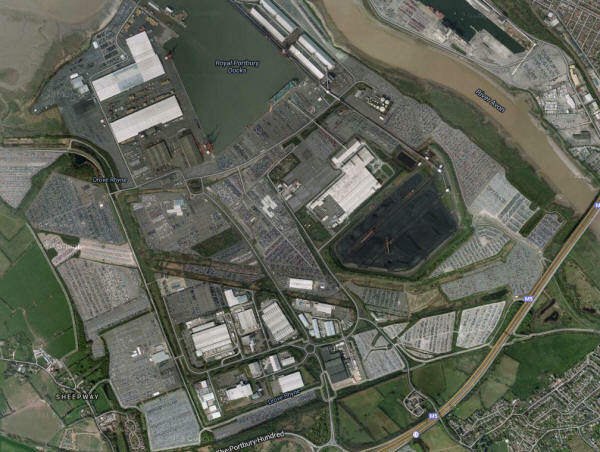 Also, the domino effect would be catastrophic to the steel industry. 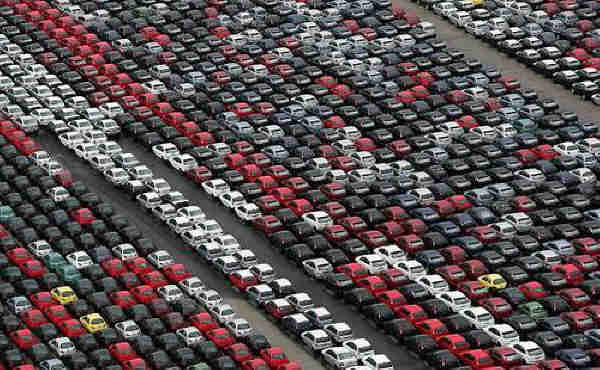 The plague isn’t specific only to the United States automobile industry…it’s a problem around the world. 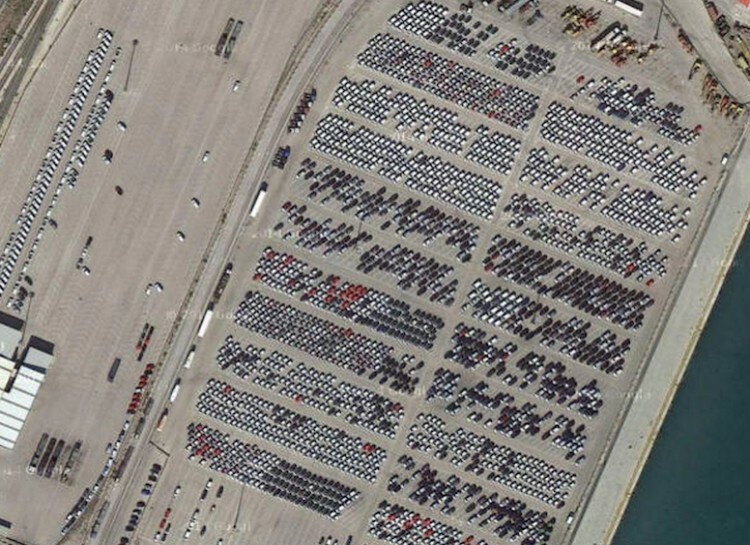 Pictured above, tens of thousands of cars sunbathe all day in Spain. When supply exceeds demand, you’re left with a surplus. Post-recession, families aren’t running out and purchasing a new car each year. 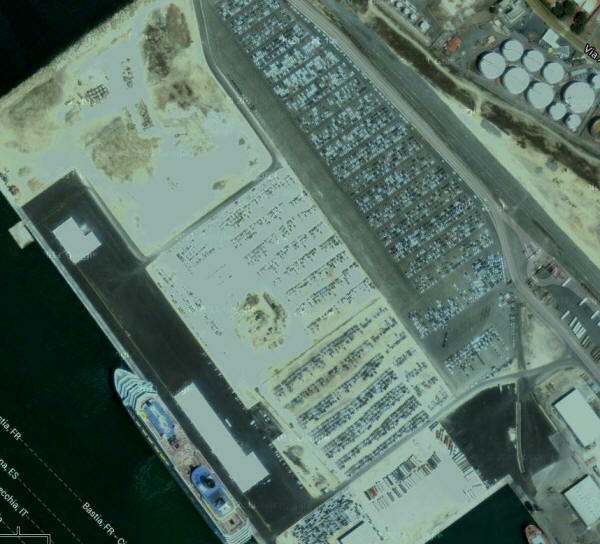 Imported European cars fail to sell and wind up left to rust in an airport. The cycle of buying, using, buying using has been broken. People are likely to USE for much longer once they buy. Open lots everywhere have been converted into makeshift graveyards for cars that just won’t sell. 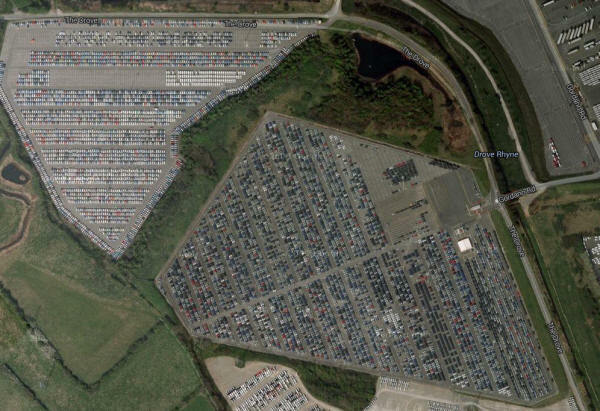 Every gray space you see is filled with unused cars. 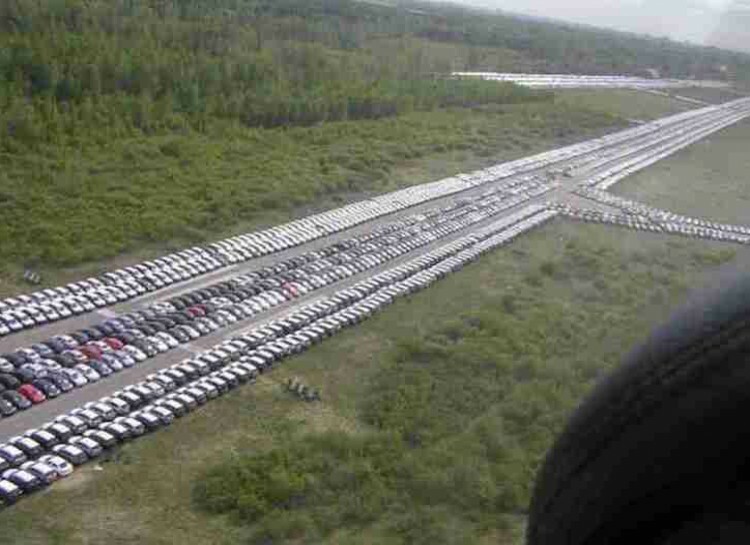 Here’s another lot of surplus cars. It begs the question: why aren’t these being recycled or at least given to people in need? You would think car manufacturers would be able to SOMEHOW use at least some of the parts. 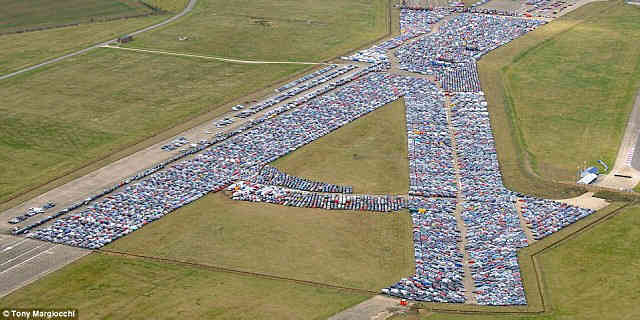 Are they holding onto hope that the cars will sell? These pictures are particularly frustrating if you’ve been driving an old clunker around! Cars, when subjected to the elements, don’t last long. Many pictured have been standing for a year or more. 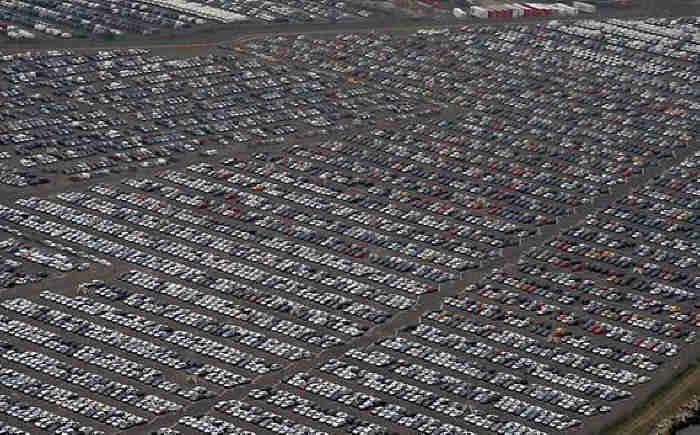 Overproduction isn’t merely a flaw of the system in the United States or at one car factory, it’s a worldwide problem. 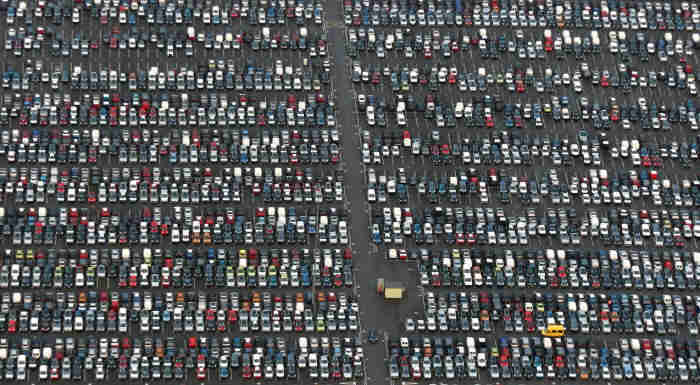 If we don’t figure out a way to repurpose cars or price them according to new economic standards, yards of abandoned cars will continue to fill.